Sharon and Lama Tsultrim open the conversation reminiscing about their similar paths going to India in their late teens, and the magic they discovered there. Lama speaks about her path in Vajrayana Buddhism and the sacred form of the feminine as the Dakini. Sharon and Lama speak in depth about Lama’s new book, “Wisdom Rising” and the five mandalas as paths of transformation. They also discuss one of Lama’s other primary teaching themes: chöd practice, aka feeding your demons. 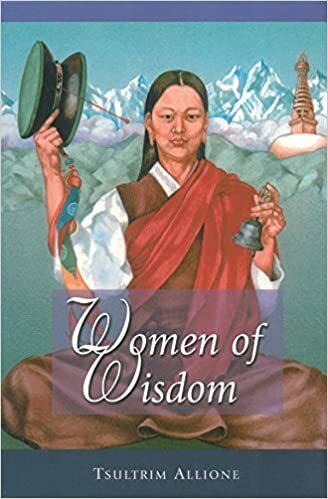 Lama and Sharon also share their experiences as women on the path, and some of the history of Buddhist teaching’s availability for women in the eastern patriarchal system— and how that has informed their pioneering work as female teachers in the west. The podcast ends with a short guided meditation by Lama on transforming anger with a Dakini seed syllable. The Rythm of Life (Opening) Lama Tsultrim shares her pursuit of wisdom and mysticism in the East where she served women in need with Mother Theresa, exposed herself to a new way of living and discovered a sense of connectedness. Wisdom Rising (7:25) – Sharon and Lama Tsultrim discuss the practice of the Dakini mandala in Tibetan Buddhism. They discuss the different emotional patterns and qualities of wisdom represented by the Dakinis. Equality and the Seeds of Change (23:00) – Lama Tsultrim shares her experience with gender equality in the temples that she studied in. She and Sharon talk about the influence of that the West has had in changing the lives of female practitioners in the East. Role Models (36:10) – How does practicing with the Dakinis change our perspective? Sharon and Lama Tsultrim look at the spiritual role models that the Dakinis offer to a practitioner. They discuss the importance of maintaining a formal practice that is accessible but adheres to the traditions that the practice arose from. Transforming Emotions (47:00) – Lama Tsultrim closes the episode with a 5-minute meditation using Dakini seed syllables.